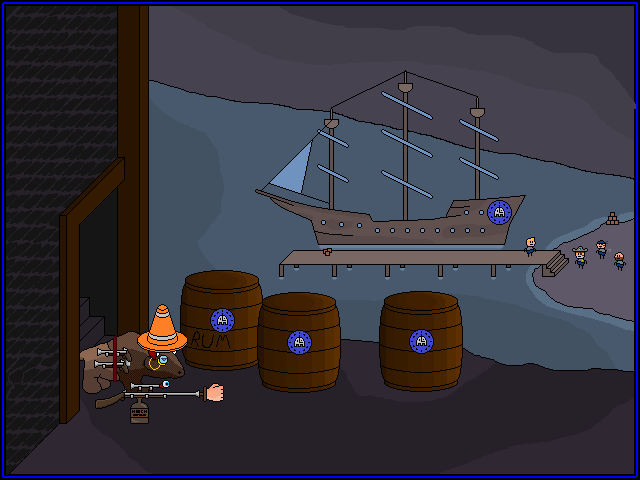 Look at PIRATE on DOCK: Is that Manbreath? the elephant is real, and just off screen. Accept TEA with many THANKS. Drink TEA. Discover that TEA is in fact, not real. the TEA is REAL but the ELEPHANT is not. DIAGNOSE SELF as DRUN--- I mean --- BUZZED. You didn't drink THAT much.